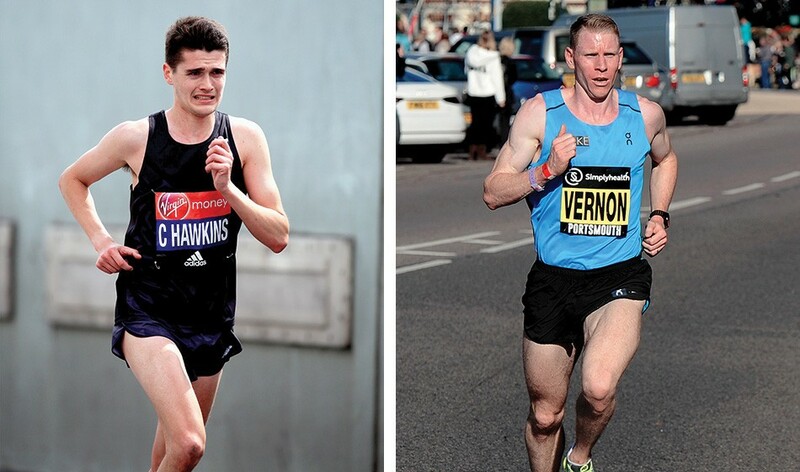 Callum Hawkins is to run the Virgin Money London Marathon on April 28, returning to marathon action for the first time since his collapse when leading the Commonwealth Games race last year. In terms of British elite men’s entries, the world fourth-placer will be joined in the UK capital by the already-announced Mo Farah, Dewi Griffiths, Jonny Mellor, Tsegai Tewelde, Andy Davies, Josh Griffiths, Robbie Simpson, Matt Sharp and Andy Vernon, who will be making his marathon debut. Hawkins clocked 2:10:52 when running the London event for the first time in 2016 and improved to his current PB of 2:10:17 when finishing fourth as the city staged the IAAF World Championships the following year. Racing on the Gold Coast last April, the Scot had looked set to claim a dominant Commonwealth victory but collapsed with just two kilometres of the race remaining. He was entered to compete in the Fukuoka Marathon in December but withdrew due to a hamstring niggle. His latest performance saw him impress over 10km as he ran 28:55 in Valencia last weekend – a time which is an official PB, though the 26-year-old has clocked faster 10km splits as part of a half-marathon. Fans will also be interested to see what Vernon might be able to achieve as he steps up to race over 26.2 miles for the first time. The 2014 European 10,000m silver and 5000m bronze medallist, who also claimed individual European Cross Country Championships bronze in 2013, missed last year’s edition of the Euro Cross through injury but returned to race at the Simplyhealth Great Stirling XCountry last weekend. “It felt like the right time in my career to move up to the marathon,” said the 33-year-old. The London Marathon doubles up as the GB team selection event for the IAAF World Championships in Doha, with the British women’s field also looking competitive. After a year hampered by injury and illness, Charlotte Purdue will return to race in London, as will her Aldershot, Farnham and District club-mate Lily Partridge, the current British champion, who was also forced to drop out of last year’s European Championships marathon with stomach cramps. Just one second separates Purdue’s marathon PB of 2:29:23, set in London in 2017, and Partridge’s best time of 2:29:24, which she ran to finish eighth in her first London Marathon last year. “I want to make the world championship team for Doha and I want to run a PB at the Virgin Money London Marathon because I think I can go a lot faster than I did in 2017 and I think my world championship performance proved that,” said world 13th-placer Purdue. Joining them in the elite women’s field will be Tracey Barlow and Sonia Samuels. On Monday, Kenya’s world record-holder Eliud Kipchoge was announced as returning to defend his men’s title. Read more here.